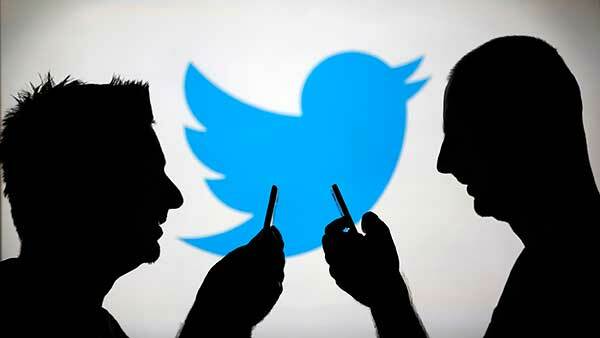 Twitter is one of the best social media marketing tools for consultants. You can use it to start new relationships, jump into conversations, and send traffic to your website. There are many different ways to use Twitter for business. This post outlines how to use Twitter effectively as a consultant – which means sending traffic to your website. Like any other tool, don’t just use it for the sake of using it. Don’t sign up for Twitter because someone says so. You should have a reason for using Twitter. It should help grow your business. Otherwise, you risk wasting your time. And Twitter can be a huge time-sink. Twitter is but one tool in your social media marketing toolbox. You use social media to send traffic to your website. That’s your main goal with Twitter – to get more traffic. If you don’t have a website, Twitter won’t be as effective for you. Set up my free high converting consultant landing page template if you don’t have one. In order to get more clients out of your website, you need to have an audience in your mailing list. 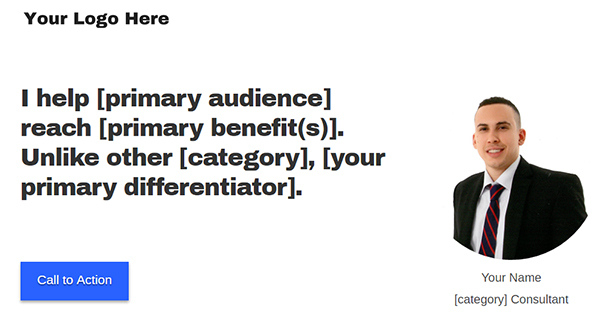 In order to build this audience, you need to get them to opt-in via your website. In order to get people to come to your website, you need to give them a reason for checking it (and you) out in the first place. Twitter is one of the simplest social media tools you can use to draw people to your consulting website. The most important thing to remember when using Twitter is to be yourself. I know what you are thinking. This is usually terrible, cliche advice. As a consultant, you are a person. A human being. You aren’t an abstraction like a company or business. You aren’t a logo. You aren’t a “we” – you are an “I”. Your twitter profile and tweets should reflect who you are. Don’t worry about being too professional on Twitter. It’s a casual social platform. You can let loose a little bit and relax. Twitter is all about being personal and being yourself. 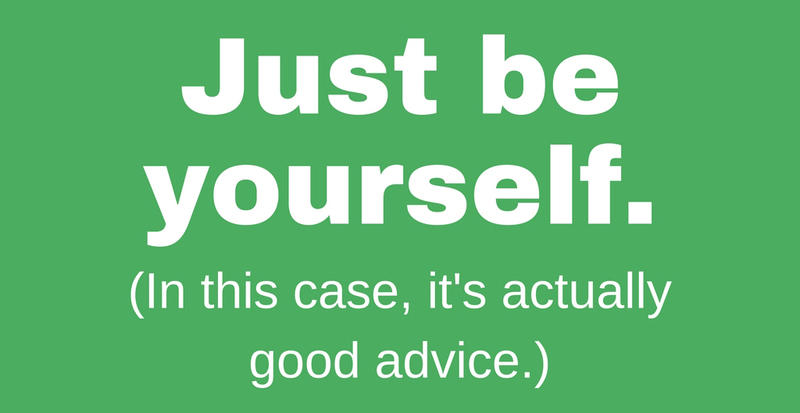 It’s one of the few places where the advice “be yourself” works. Auto-posting 6.5 articles a day and running follow/un-follow automation software may work for companies (and it usually doesn’t), but not for you. Think of Twitter like a big, casual conference or networking event. There are different groups of people talking about many different things. You wouldn’t show up to this conference in your best suit and pitching your services to everyone who walks by. You would go to this conference to meet people, see what people are talking about, join in the conversation, and provide value. Twitter gives you the chance to let people get to know you. When you use twitter to provide value, people will want to know who you are and what you’re about. They will check out your profile and then your website. Every time you write a new article or case study, share it via Twitter. Use hashtags relevant to your audience and your content. Type hashtags in the search bar to find conversations and tweets containing that hashtag. If someone’s looking for advice, join the conversation and provide value. If you find a conversation taking place and you have something to add, jump in and share. Re-tweet and share content of people in your network. If you know someone sharing a new product or service, help them get the word out. Enjoying a nice day out at the park? Watching the game at a friends house on the weekend? Share a picture on Twitter. You don’t have to share everything you do – but use Twitter as a way to let people get to know you. Hold a Q&A session and answer your follower’s questions. Communicate directly with your audience and get to know them as well. Make a public or private list of people you would like to connect with or work with. Or, make a list of profiles of people who post great content – and share that with your audience. While someone browses through your twitter feed, they should get a feeling of who you are and what you do. If they are a good fit to become a part of your audience, they will look into more about you. 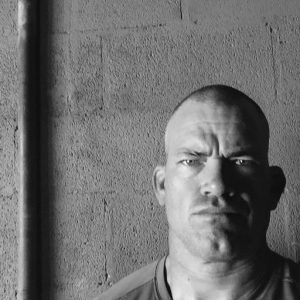 If you want to see an example of how to use twitter perfectly, take a look at @JockoWillink. Jocko is a Navy Seal who served in Iraq. He also runs leadership consulting company Echelon Front and is co-author of Extreme Ownership (a fantastic book that you should read) with Leif Babin. As far as I know, Jocko doesn’t have any social media training. He doesn’t have a social media team. He doesn’t strike me as the type of guy to study how to use Twitter to grow his business. But he uses Twitter very effectively. He iss as authentic as you can get. He’s really, truly himself on his Twitter feed. He engages with his followers. He talks directly with them and answers their questions. He shares episodes of his podcast. And he shares the content of his friends & network. What is he not doing? Auto-tweeting the same 5 articles over and over. Constantly tweeting about his book to get book sales. Using dry, corporate language that would make him look like other leadership consultants using the platform. Jocko is unapologetic about being Jocko, and this shows on his Twitter feed. And his Twitter is one of the best examples of how to use Twitter effectively as a consultant. When someone is interested in leadership, and they come across Jocko’s profile, they are going to want to find out more about him. They will check out his podcast and his website. Don’t copy Jocko’s tweeting style or the pictures he takes. But do challenge yourself to be as authentically you as Jocko is himself on Twitter. It’s going to be harder than you think. But part of consulting is demonstrating how you are unique. Twitter gives you the opportunity to be unique on a personal level. Twitter is an effective tool you can use to send traffic to your website. Be yourself and provide value. This will prompt people to learn more about you. They will check out your website. Twitter is especially useful for consultants – and many top consultants adopt a casual, friendly style when using the platform. I recommend you do as well. What are some ways you use Twitter as a consultant? How does it fit into your marketing strategy? Start a conversation in the comments below.